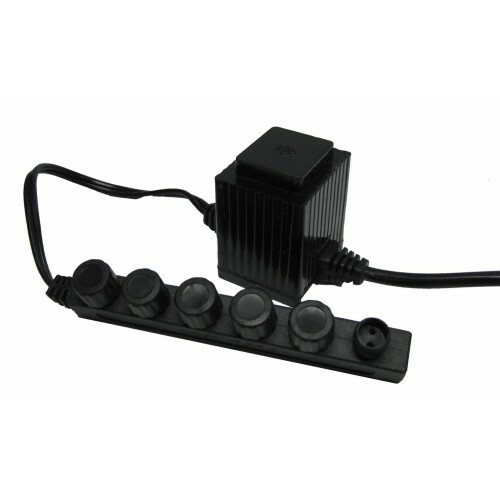 Six outlet strip is ideal for use with LED lights. Makes connecting multiple lights easy. Transformer plugs directly into regular 110V outlet. Power cord is 2'. No photo eye included.